Tomorrow--Nah, that was yesterday--Ten minute video. It seems that Nevil Shute liked ghost stories. He wrote one entitled "Tudor Windows" which was never published. He seems to have been captivated by J.M.Barrie's novella "Farewell Miss Julie Logan" which was published in 1932. In it Barrie (of Peter Pan fame) tells the story of a young Scottish Minister Adam Yestreen who falls for the beautiful Miss Julie Logan, an apparition from the time of the Jacobite Rebellion of 1745 (Bonnie Prince Charlie). The location is a snow-locked Scottish glen in the 1860s. To Adam, a staunch minister of the Scottish kirk, Julie is very real until, carrying her across a burn, she reveals that she is a Papist (a Roman Catholic) whereupon he drops her in the burn and she vanishes. It is a dark and "wintry tale" as the subtitle describes it, and full of Scottish dialect. Around 1945 Shute produced a full version of the story as a film script as well as a dialogue treatment. This was at the time when he wrote a film script of Pastoral and, at about the same time, Vinland the Good. He seems to have been going through a script writing phase whilst waiting for his assignment to India and Burma. Nothing further came from his treatment of Farewell Miss Julie Logan and it remained in his papers after his death. It is the only time Shute adapted another author's material. Incidentally a stage version of Julie Logan was produced at the Edinburgh Fringe festival in 2005 to great acclaim. In 1931 Airspeed Ltd, founded by Nevil Shute, Hessell Tiltman, Sir Alan Cobham and Lord Grimthorpe, moved into part of the old bus garage in York. It was there that the Airspeed Tern glider, the Ferry, and the first Courier aircraft were made. From these beginnings Airspeed grew until it moved south to Portsmouth in 1933. After the move part of the garage was used by a number of companies but, by 2009, it was in a sorry state of neglect and, so it was said, in danger of falling down. An application to English Heritage, supported by the Foundation, to have the building listed as a site of historical significance, was turned down. In September last year York Council decided to demolish the building and that has now been completed, although it is unclear what the site will be used for. We hope it may be possible for a suitable plaque to be erected on the site to commemorate its significance as the birthplace of a company that became a significant part of British aircraft design and manufacture. Noon on Saturday 3 September saw 18 Shutists converge upon the Queen's Hotel, Southsea, which was the site of the 2003 Conference and redolent with memories. It was a special delight to have Steph Gallagher, who organised that conference, with us again. A fateful day - the 77th anniversary of the outbreak of World War II - it was an appropriate date for us to meet and discuss "Landfall", set in December of 1939. After some discussion it was decided that it was not a location which featured in the book; staff confirmed that the "snack bar of the Royal Clarence" lay elsewhere. However, we took the opportunity presented by our meeting to present the hotel manager with an extract from "Trustee From the Toolroom," in which the Queen's Hotel is mentioned. After lunch, and in some cases Afternoon Tea, we discussed the making of the book with John kicking off proceedings with an outline of Shute's career at the time and details of the "Snapper" incident. There was some discussion of how Shute could have come to hear about it and how he got away with 'novelising' it. Several favourite passages were highlighted and the comic feature of the diver and his mate was recognised. "He did so. What he said really doesn't matter a great deal. It was very technical, difficult to understand, though interesting in its way. So far as I know Chambers never spoke of it to anyone, even to Mona. It was purely by chance I came to hear what he'd been doing. I found it in a file at the Air Ministry when I was looking for something else, and my tea got cold while I went chasing up that side alley. But the file was marked SECRET and I had to sign for it. and so I think we'll let it rest. It had nothing to do with Caranx, anyway." as a footnote signed 'NS'. In concluding, it was agreed that the next meeting will be arranged near Bristol by Andy Burgess, in the late fall or winter. We are delighted with this news. Those attending were Art and Joan Cornell, Judi and Larry Rachman, Marianne Smith, Sally Rossetti, Howard Seiffert and a California visitor, Jack Ayer – Sally’s brother. We met at the Yarmouth House restaurant in South Yarmouth. We sat next to a scenic large paddle water wheel. We read No Highway. This book was made into a movie starring Jimmy Stewart. We all agreed that Stewart was the perfect actor to portray the lead character, engineer, and researcher, quirky, Mr. Honey. The plot involved a problem of possible metal fatigue of a Reindeer airplane used on long distance commercial flights. Our meeting occurred on the same weekend of the release of the movie Sully which also involved the study of possible plane fracture, an interesting coincidence. A number of interesting and colorful characters tell the story, narrated by one of them, Dr. Scott. This is a technique Shute uses in many of his books. Art commented that he thought Shute was wrong to have Mr. Honey use a planchette to actually locate the tail of the Reindeer. Previously in the book, Mr Honey said, “But there ought to be more time for scientific work” and then he employs a ouija board to prove his scientific work – not very scientific. Howard mentioned that the book could have had more discussion. We will try to do that in the future. Helen Yeomans commented in the Nevil Shute Foundation book reviews that No Highway took place, “during one of its periodic collisions with reality when the sum of human knowledge leaps upward and mankind’s horizon become suddenly wider.” Sound familiar?! As you may have noticed, there was no newsletter in September. There just wasn’t enough copy for a newsletter. This October newsletter is very interesting I think. Please, if you have any thoughts, which have to do with Nevil Shute, his books, our foundation…….. and you are willing to share these. 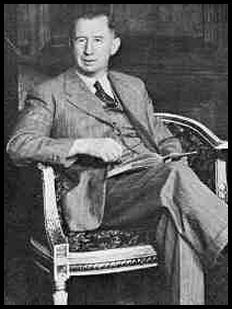 A suggestion, let us know how you find out about Nevil Shute, what was your first Nevil Shute book. I think, that this will interest other Shutists. Who will start and send me his or her story?